Six decades flying high at Bristol Airport Jump to media player The airport once fielded 90 passengers a day but now it is more like 21,000. 'We need to fly the Welsh flag' Jump to media player The chairman of Cardiff Airport calls for air passenger taxes to be devolved to Wales. Airport to open new departure lounge Jump to media player Bristol Airport has announced the opening date for its new £8m departure lounge extension. Hundred year old teddy seeks owner Jump to media player The hunt is on for the owner of a hundred year old teddy bear abandoned at Bristol Airport. 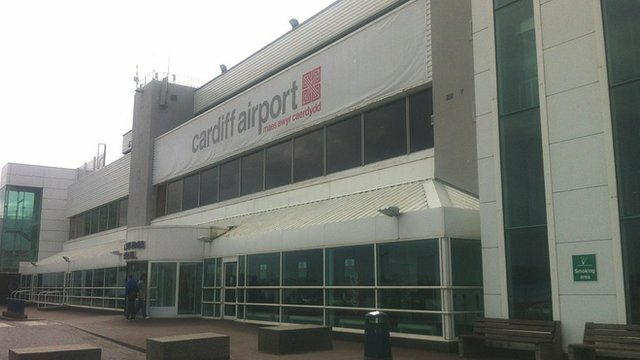 More from Wales use Bristol Airport Jump to media player New figures suggest that more people from Wales used Bristol airport last year than Cardiff airport. Bristol Airport is celebrating 60 years since passenger flights began. From a small civilian airport at Lulsgate Bottom to a huge international airport servicing dozens of destinations, it has had a chequered history. In 1957 it saw 90 passengers a day, but now it's more like 21,000. It hopes to double its size over the next few years to handle as many as 15 million passengers. BBC Points West presenter David Garmston has taken a look back at the history of the airport.